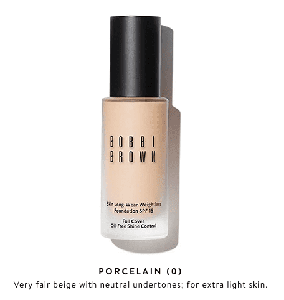 WHAT IT IS A 16-hour wear, full coverage foundation with a natural, multidimensional matte finish thatâs comfortable, breathable, and weightless. 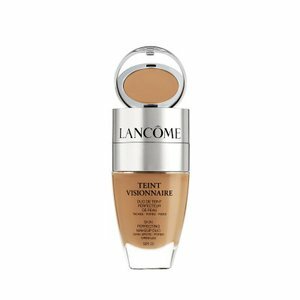 Created through a high speed cold fusion process, this ultra-silky emulsion features a perfectly balanced blend of skin-loving ingredients, oil controlling actives and skin-true pigments. 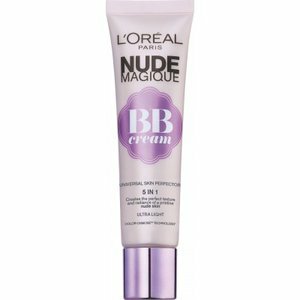 Incredibly smooth and blendable, it glides on with a second-skin feel and multidimensional matte finish. Pigments are precisely balanced through artistry expertise to skinâs top tones and undertones to deliver the most natural-looking shade range for all skin tones. ALL DAY WEAR: Â Tried and tested in extreme heat and humidity, this 16-hour formula is sweat- and humidity-resistant. Flexible coverage wonât crease or streak and stays color-true. MULTIDIMENSIONAL MATTE COVERAGE: Â Treated skin-true pigments suspended in an emollient gel base float on skin, reflecting light to enhance skinâs natural contours and dimension. 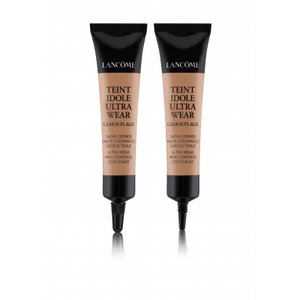 Instantly conceals redness, discoloration and pores with full yet natural coverage. COMFORTABLE SECOND-SKIN FEEL: Â Skin-loving, non-acnegenic formula with "marine sugar cane" algae extractÂ and natural mineral powders helps control excess oil and shine. Meanwhile, moisture-binding glycerin delivers refreshing hydration. Skin feels balanced and comfortableânever tight. Research results: In a 4-week consumer study with 101 participants: -Â 96% said it immediately left their skin looking shine-free -Â 93% felt it immediately minimized the look of pores -Â 92% said their skin looked more even-toned throughout the day -Â 91% said their skin looked fresh throughout the day -Â 84% felt it left their skin feeling hydrated -Â 81% said the foundation stood up to all their activities Get free shipping & returns on all foundations, correctors, concealers and powders. Paraben-free; phthalate-free; sulfate-free; sulfite-free; gluten-free; vegan, dermatologist tested, non-acnegenic WHO IT'S FOR Ideal for normal to oily skin. HOW TO USE Apply to clean, moisturized skin with a sponge or the brush of your choiceâuse Bobbi Brown's Foundation Brush or Full Coverage Face Brush (both sold separately) for best results. INGREDIENTS Â Paraben-free; phthalate-free; sulfate-free; sulfite-free; gluten-free; vegan Ingredients: Octinoxate 3.0% , Titanium Dioxide 1.6%Ingredients: WaterAquaEau , Dimethicone , Trimethylsiloxysilicate , Cetyl Peg/Ppg-10/1 Dimethicone , Butylene Glycol , Glycerin , Disteardimonium Hectorite , Polyglyceryl-3 Diisostearate , Sodium Chloride , Laminaria Saccharina Extract , Butyrospermum Parkii (Shea Butter) , Fragrance (Parfum) , Ascorbyl Palmitate , Tocopherol , Dimethicone Crosspolymer , Methicone , Stearic Acid , Tocopheryl Acetate , Glyceryl Oleate , Lecithin , Glyceryl Stearate , Citric Acid , Aluminum Hydroxide , Talc , Disodium Edta , Linalool , Sodium Dehydroacetate , Phenoxyethanol , Please be aware that ingredient lists may change or vary from time to time. Please refer to the ingredient list on the product package you receive for the most up to date list of ingredients.